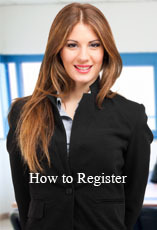 In this page, you will learn how to register in our database filling our online form. Before you fill in our online registration form, you should prepare a photograph with following dimensions. It will help and make easy for you. Photo width: 350px and height: 500px. size less than 200 kb. The above dimensions can automatically be measured using our Online Photo Crop Editor. The software will crop your image fit to the above rules. For more details, you can go to Photo Crop Editor page by clicking the following link. All the fields should be filled with correct details and you should not avoid any field when filling. A sample video is given bellow. It will explain how to complete the online form. Click on the following link to popup and watch the video lesson. It is better to watch this video lesson more than once and have a good knowledge of filling the form. You would not try to fill in the form more than once. Such kind of activities may lead to close your account forever.